Roberto Cavalli fragrance and perfume list. 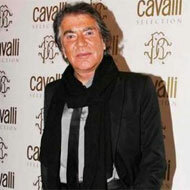 About Roberto Cavalli: Born in Florence, Tuscany in 1940, Roberto Cavalli, is the Italian fashion designed known for the sand-blasted jeans look, which is now standard styling, and his exotic print designs. Founded in 1962, he opened his first clothing boutique in 1972 in Saint-Tropez.